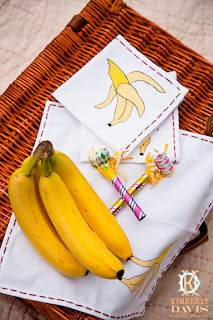 When we saw what Kimberly Davis Photography did with the Funky Monkey birthday items by Moda Home, we just had to share. 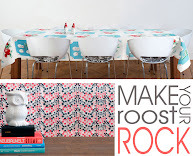 She did such an amazing job! 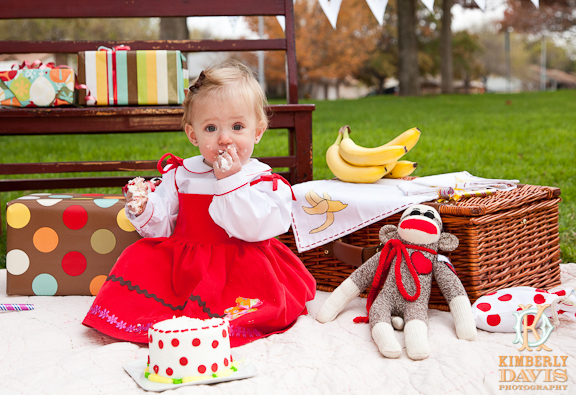 Kimberly writes: "This is a styled first birthday photo shoot with a sock monkey theme. 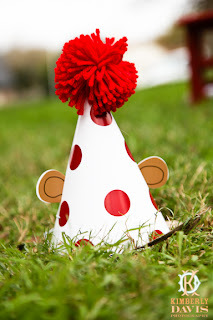 The concept behind my styled shoots is to do something fun and unique with details, and a first birthday is a really fun way to do this, especially with a first birthday cake! The idea behind this really comes from my background as an editorial photographer (for magazines), complete with details and props so this is really a merging of that with portraiture. 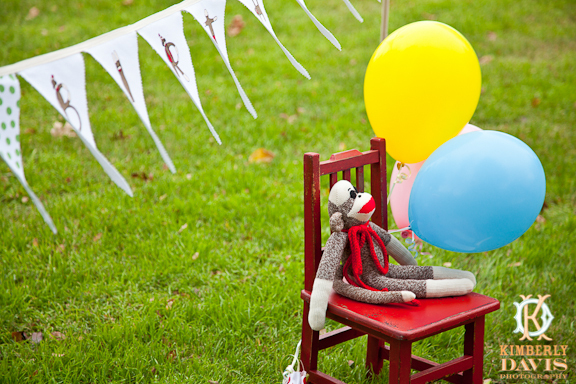 Since this was the first sock monkey theme I collaborated with wonderful creatives and companies to make this shoot really come together." First off, Happy Birthday to the precious birthday girl! 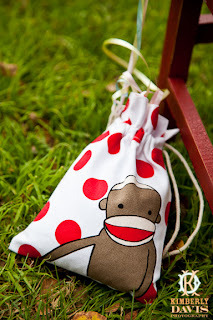 The adorable sock monkey is handmade from Original Sock Monkeys and it even has a "mom" tattoo. She can also put the child's name in the heart on the front. 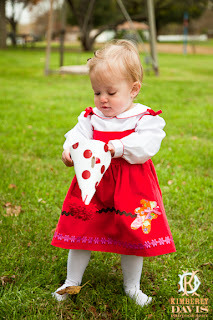 The lovely red Nounours corduroy dress is made by Francoise Studio. The Piped Long Sleeve Shirt is from Orient Expressed and the shirt can also be monogrammed on the front. 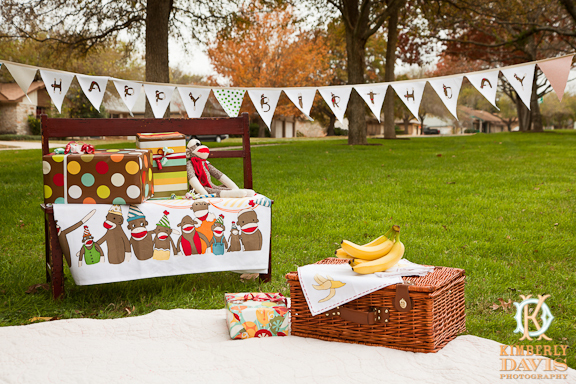 The banner, linens, favor bag (tied to the balloons), and hat are part of the Funky Monkey line by Moda Home available at House 8810.